Directing actors can be one of the most difficult parts of wearing the director’s hat. Actors speak a language that a director must understand if they are to pull and nurture an amazing performance. Unfortunately, film schools do not teach this must need “foreign language” course. I’ve worked with every kind of actor there is. From Oscar® Nominated to fresh out of acting class. Pulling a good performance can be tough and I would get very frustrated sometimes because I couldn’t speak their language. Then I met Per Holmes. Per created a gaming change course years ago called “Hollywood Camera Work: Mastering High-End Blocking and Staging.” I loved this course and it’s a must for any filmmaker. When I heard he was creating a “Directing Actors” course I was in. I was able to take the course right before I shot my first feature film “This is Meg” and it helped me immensely. I was able to speak the actor’s language and nurture the performance I needed for the story. I asked Per Holmes to be a guest on the show because I’ve never taken a course where the instructor was so detailed, thought out and passionate about the subject. Directing Actors is INSANE. Here’s a bit on the course. Years in the making, Directing Actors is the most comprehensive acting and directing training in the world. 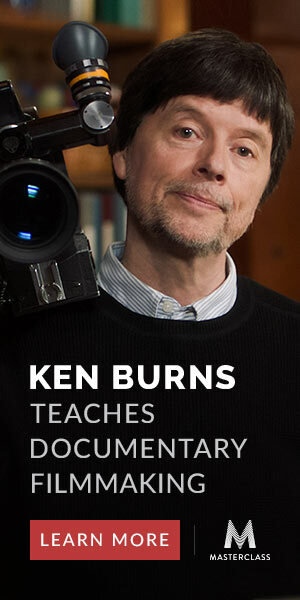 Created by Per Holmes, the course teaches a better way to be a Director, by having extremely strong technique, and the right philosophy and personality on the set. Through almost a thousand examples, we cover literally every acting and directing technique, every interaction between Actor and Director, and we cast, rehearse and shoot 9 scenes. Directing Actors is the result of Per Holmes’ personal obsession with resolving once and for all the best way to work with Actors. Every known technique has been tested, and the results are surprising, sometimes shocking. Directing Actors has involved almost 150 people through 7 years of development and 3 years of shooting and editing, including almost a hundred talented Actors who have gracefully allowed us to show the process without any filters. Get ready for some MAJOR KNOWLEDGE BOMBS. BTW, Per has given the Indie Film Hustle Tribe a gift, 30% OFF ANY of his course. Trust me Per does not do this EVER. Just used the COUPON CODE: HUSTLE. Links to the courses are below. Enjoy! Enjoyed Directing Actors & How to Become an Actor’s Director with Per Holmes? Please share it in your social networks (Facebook, Twitter, email etc) by using social media buttons at the side or bottom of the blog. Or post to your blog and anywhere else you feel it would be a good fit. Thanks.